The DJI Phantom 3 is a great quality drone with tons of features. It is considered to be the best commercially available drone today. 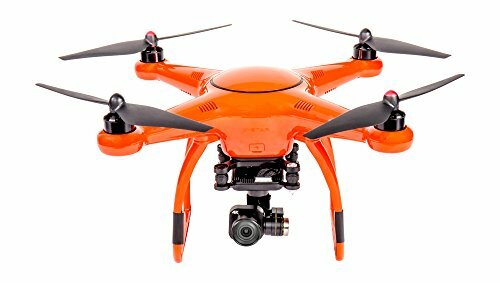 This drone is perfect for beginner pilots who also want the ability to record great aerial video. However, for most people the Phantom 3 is a little expensive. If you’re not looking for cheaper alternatives the great news is that there are other feature packed drones available on the market that you can have without spending too much money. You must know what you desire from your aerial video platform because there are three Phantom 3 models currently available on the market. Some people will tell you that novice pilots should cut their teeth on cheaper drones. However, that’s nonsense in our expert opinion because lower-end drones are harder and less reliable to fly. This means that you’re far more likely to crash and destroy them. It is recommended to start out with a slightly nicer drone, with a design that’s easy to repair or upgrade and reliable and responsive controls. The Phantom 3 Standard is a great choice for these goals. 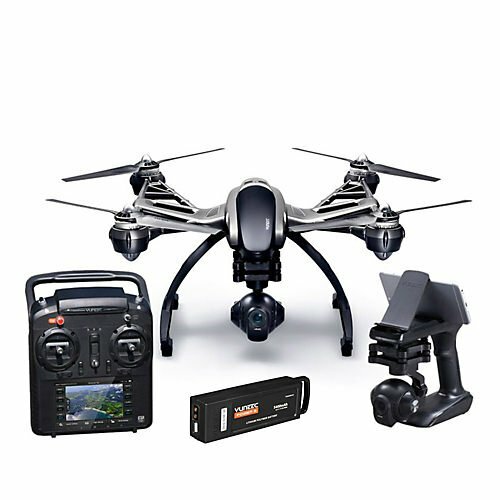 This drone comes at a starting price of about $500 with some additional accessories included and it is the cheapest model. The Phantom 3 Standard is great model for drone enthusiasts because it is easy to fly, reasonably durable, and also provides you with plenty of space to grow and progress as a pilot. 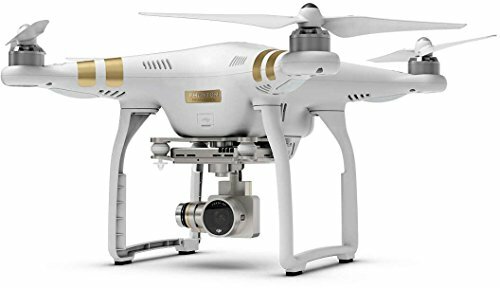 The Phantom 3 Standard is relatively cheap, especially considering the capability of this fella. However, it is not so cheap that you’ll be encouraged to fly carelessly. comes with amazing flight time (about 25 minutes) and has a pretty decent camera on the undercarriage that records 2.7K video and 12 MP photos. You can get some pretty professional looking shots right there because camera is coupled with the great stabilization. This is extremely important for a drone whose main purpose is video quality. The Phantom 3 Standard is also compatible with a wide range of aftermarket accessories and has 2.4GHz downlink Wi-Fi that reaches up to 1000 meters in range. You’ll be able to learn the ins and outs of piloting a drone and upgrade your setup as your skills progress and your needs change if you start with the Phantom 3 Standard. DJI Phantom 3 Standard Unboxing and First Flight! These two models are very similar so we put them together. Both models feature improved controllers that also have a technology called LightBridge. Thanks to the Sony Exmor sensors, both drones have improved camera quality. They also feature superior satellite navigation and live HD video streaming. The main difference is that in the Advanced version you get a maximum of 2.7k at 30 frames per second and in the Professional version you get a maximum video quality of 4k. The Phantom 3 Professional also charges batteries much faster. Another noticeable difference is the price. The Phantom 3 Professional costs $799 and the Phantom 3 Standard stands at $734. The ideal alternative for the Phantom 3 has to be equal or in the range of the Phantom models as much as performance goes. They should also keep the price low enough to make it relevant as a comparison. When searching for the ideal competitor here’s the main things we’re looking for. The main purpose of an aerial video platform is camera quality and we will present down below drones that come with an included camera. We will also present some drones to which a GoPro can be attached. A nice 3-axis motorized brushless gimbal is a must because we have seen many so called alternatives for the Phantom 3 failing miserably because the camera was unstable and jittery. For a drone to pass the test and be a viable replacement for the Phantom 3, the features and price have to obviously be as good as possible. This is probably a surprise guest for some people. However, the Autel Robotics X-Star has tons of amazing features that should make the Phantom tremble. The Autel Robotics X-Star gives you a lot of the features you’d find on DJI’s Phantom 3 Pro and it also looks like DJI’s Phantom drones. This drone is designed with an easily removable gimbal and as payload technologies advance this feature will allow the camera to be easily upgraded. The X-Star maximum control range is about 2000 meters, which is really amazing. To allow the pilot to see live video from the drone’s camera, the X-Star requires an external display such as a Smartphone or tablet. The manufacturer has added an LCD display to the controller itself. This feature allows you to use the full screen of the external display to view video coming back from the drone at 720p. The drone also comes with a good suite of smart modes, such as return to home with programmable height, follow and waypoint modes, orbit mode and intelligent orientation control. Its 108 degree FOV camera has the ability to take 12 MP photographs and it is capable of recording video at 4K30, 2.7K60, 1080p120, or 720p240 frames per second. This drone also packages a 64GB SD Card. 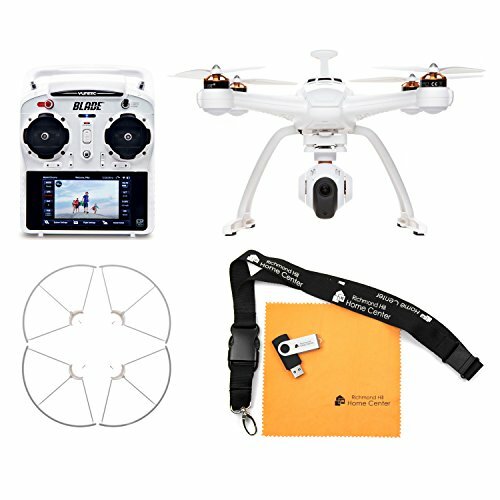 When you compare available features to the $799 Phantom 3 Professional, the Autel Robotics X-Star Premium’s $739 price tag is really great. This is the most promising thing I’ve seen that has the incredible potential to be a Phantom Killer! Autel Robotics X Star Premium Review - Phantom Killer? In this brand new episode of Drone Talk, Jerry and Graham explore the brand new Autel Robotics X-Star Premium! .. The Typhoon Q500 drones are definitely one of the best alternatives to the DJI Phantom 3 series. The Yuneec drones we are referring to are the Q500+ and the newer 4k version. The camera resolutions and sensor quality are the main differences between these two models. The 4k model can also fly further. There is also a difference in price. The Q500 4K full package costs $840 while the Q500+ full package costs $824. In this article, we will be mainly focusing on the difference between the Yuneec Q500 4k and the Phantom 3 Professional. However, it is important to note that the q500+ is a very capable drone that rivals with the Phantom 3 Standard and Advanced drone. The Typhoon Q500 4K is a great choice as video platform. It comes with a very good GPS and 4K 12 MP detachable camera. The drone also comes with a transmitter that has integrated LCD display and stable android system. There is also a nice carrying case and a handheld device for attaching the camera and using it as a ground stabilizer. The Blade Chroma 4K is definitely a twin for the Typhoon Q500 and an enemy for the Phantom 3. There’s a lot in common with the previously mentioned Typhoon Q500 4K.
. However, it comes in a smaller and lighter package. This feature makes this drone perfect to disassemble and carry it in a more compact way. The Chroma faces very well against the DJI staple and this drone is on the list because it’s closer to the Phantom 3 Professional in size and even looks. The Chroma is also equipped with Follow Me mode and tracking options. It also has a longer flight time that the Phantom 3 Pro due to powerful 11V 5400mAh Li-Po 3S battery. The controller has an included LCD 5.5 inch monitor that runs on android. For those who don’t have tablets and Smartphone or just want to charge only one thing at a time, this compact solution makes it very useful. The Blade Chroma 4K is also white and small. This is not always a good thing, because it can be difficult to keep track of a drone when flying it up in the sky in a sunny day. We have researched lots of cheaper brushless drones. However, they weren’t up to par with the Phantom 3 because the gimbals were poor or non-existent. Also, they lacked cameras or they could barely carry a GoPro. Fortunately there’s a badass looking drone that that has not only a nice price tag, but also some amazing features, which make it a worthy alternative. The Xiro Zero Explorer is considered to be the perfect cheaper Phantom 3 alternative. The people at Xiro made the Explorer drone in two versions: one with a camera included and the other for GoPro camera. 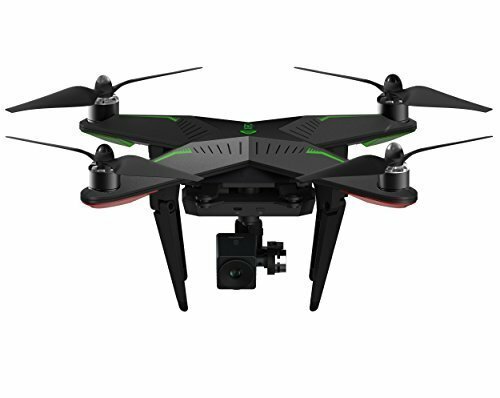 We will first dive into the latter, called Xiro Zero Explorer V. This drone also comes with an included camera and gimbal. that has a flight time of 25 minutes. It has modular design and some very useful features, such as Follow Me mode and Circle around Me mode. The drone is also equipped with one of the highest-resolution cameras available. It can take 14MP still images and it is capable of recording full HD video at 720p/30fps and 1080p/30fps. This isn’t the highest possible resolution available built into a drone and the fact that it only records full HD video is disappointing when compared to a Phantom 3 Standard. However, it will be able to satisfy most of your video recording needs because most computer screens are pretty limited anyway. It is important to note that the gimbal does an incredible job and even for a camera that records only full HD, the overall quality is amazing. and with a better price. The GoPro has higher quality image coming at up to 4K resolution and this is the biggest plus compared to the Explorer V. This feature will make for better videos overall. This feature alone makes the Xiro Explorer able to compete and maybe even defeat the Phantom 3 series. It comes with a visual positioning system. This feature can be useful for drone stability in closed spaces or low altitude. I was asked to evaluate the Xiro/Zero quadcopter and have been doing so for a short time. Jump right to the full review of 3DR Solo. Some users claim that the 3DR Solo is even better than the Phantom 3. These two drones compete for the best camera consumer drones. They are very popular combatants on the internet and they are both amazing at what they do. However, there are slight differences between them. These two drones are pretty comparable when it comes to size. However, the main difference here is that the 3DR Solo is heavier than the Phantom 3 Professional. The Solo weighs 1800 grams (3.9 pounds), while the Phantom 3 Professional weighs 1280 grams (2.8 pounds). 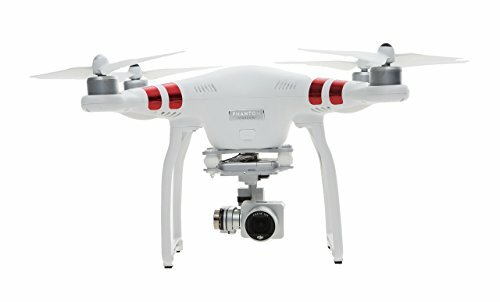 This means that the 3DR Solo takes more juice out of the battery to stay in the air and the Phantom 3 Professional has a harder time facing the wind. When it comes to the flight time, they’re also both pretty comparable. But the flight time is also relative. It all comes down to how much time you need in the air to complete the shot. In this category, the 3DR Solo excels. As far as camera goes, the 3DR Solo can be bought with a very high quality gimbal. This gimbal can be used with the GoPro Hero4 camera. This feature makes for some amazing footage quality. The main difference between the GoPro camera and the onboard Phantom 3 Professional camera is the fact that the GoPro camera has a fish eye effect that can be a drawback for some users and a wider viewing angle compared with the Phantom 3. The GoPro Hero 4 camera also records in higher FPS in HD and Full HD. This is perfect for getting slow motion shots. You can program the 3RD Solo to a certain flight path thanks to the autoflight features. This automatic feature alone makes it an amazing tool for videographers because it allows you to take control of the camera and focus just on capturing the shots. The Phantom 3 comes with waypoint pre determination and point of interest feature. The problem is that there’s no way to change the camera view while that is happening. Read our full comparison of Phantom 3 vs 3D Robotics Solo here. The Phantom 3 Pro is a good all in one, stable platform. However, it lacks upgrade ability and doesn’t have modular design. On the other hand, the 3RD Solo can improve in the future when new and better cameras surface. The Solo is also more automatic than the Phantom. 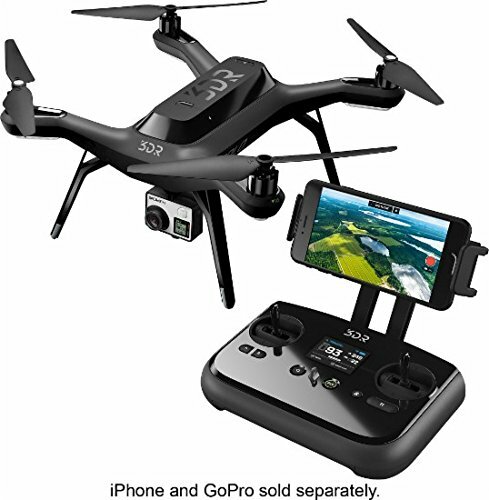 The 3RD Solo is perfect for those people who are seriously interested in aerial photography and want to use a GoPro video platform. My review of the 3DR Solo Drone along with some aerial photography tips and tricks. We hope that you have found this article useful and informative. We also hope that the alternatives for the DJI Phantom 3 we presented were satisfactory enough to decide on a drone model based on your main motivation and needs.